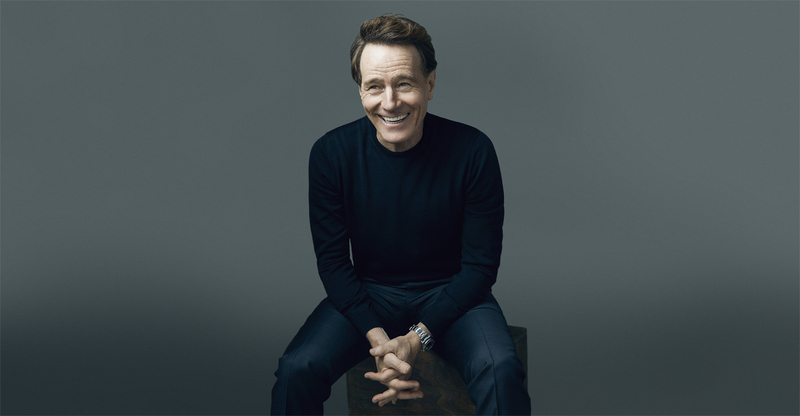 Mr. Cranston, were you ever worried that fame would corrupt you? When you don’t have it, riches or fame or whatever, you think, “If I ever did, it would not change me! I’d still be the same person!” Well, no. By virtue of the description itself, you are not the same person. You have to behave differently. Right, it’s one sided! So you have to govern that and protect yourself with a gossamer wall that allows people some access, but not completely. Fame is very interesting in that way. Have you become a better judge of whether or not someone is interested in your fame or your person? You are constantly going through that! You are constantly working through that system because fame brings this unwanted attention, this sycophantic behavior, people who fawn over you unnecessarily, who try to idolize you — which is always surprising. It’s a daily thing! It’s also something I don’t particularly enjoy. Sam Rockwell said that to avoid fame as an actor is foolish because it is simply inevitable. It’s a by-product of what I do! But the difference is, if you meet true fans that want to express how they feel about a piece of work that you did, a story that you did, that touched them and moved them — I love to hear that. I love to hear when fathers say, “I bonded with my son over your show.” That makes me feel great that they found some commonality that bridged generations. And it’s not just fathers and sons, it’s also mothers and daughters. So that brings me great joy. But still, some people just want a piece of you or want me to advance their script. In that way, it’s actually fortunate that you didn’t become famous until you were 40 years old. Exactly, it means I had a lot of years when I was able to just go out and people-watch. I would go to shopping centers and I would watch as you are arguing with your girlfriend. And if you ever started to look over to me, I would look down so you felt like you were having some privacy. But I was watching your every move! (Laughs) My wife and I do this all the time, when we see a couple, you can tell just by body language how familiar they are with each other: if it’s a first or second date, if they are leaning in and laughing, their energy is into each other. If they have been together for 20 years, their energy is back, it is not as attentive. So you sense the energy of someone. Does that ability to sense people’s energy help you on set? How do you navigate those situations? Is it simply a matter of creating trust? Few people can say that their career success depends that much on their chemistry with their coworkers. Nobody else has this kind of situation in their working lives! If it’s another actor in a scene and we are supposed to play husband and wife and madly in love — how do you do that? How do I do my job? Are you very solitary in your personal life? When I became famous, I craved privacy because as I said, all of a sudden my working life and a lot of my private life became so social. Quite frankly, even though I am grateful to have films that I love to promote, I get tired of talking about myself. There are many more subjects I would like to discuss other than myself. It’s an odd thing that there is so much interest, particularly with Breaking Bad, even though it ended in 2013. I am very grateful for it, very proud of it, and I would be whether or not it had spawned this other life for me. And I am fine to talk about it because it changed everything in my career but… When I am not working, I want to slow it down. Are you tired of Hollywood’s constant noise? I do get tired, but I also know that the nature of fame is cyclical. There will be a point where it ends or diminishes to whatever degree. And when that happens — I am fine. When that starts, I’ll have plenty of time to rest and be in discovery.